St. Anthony of Padua Cathedral, alternatively known as the Sant’Antonio di Padova Cathedral, S. Antonio di Padova, St. Antoine or St. Antuan, is the largest cathedral of the Roman Catholic Church in Istanbul, Turkey. It is located on İstiklal Avenue in the Beyoğlu district. Along with the Cathedral of the Holy Spirit (1846) in the Harbiye district, St. Louis of the French (1581) and Santa Maria Draperis in Beyoğlu, Sts. 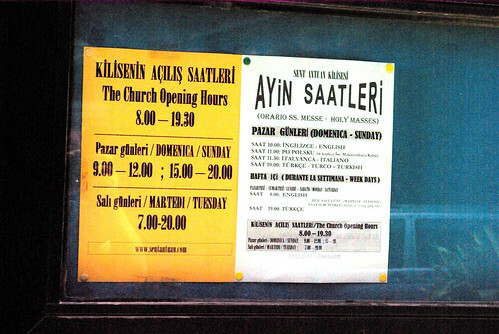 Peter and Paul (1841) in Galata, Assumption Church in the Moda quarter of Kadıköy, St. Stephen in Yeşilköy and Bakırköy Church in Bakırköy, it is one of the most important Catholic churches in Istanbul, and among them has the largest community following its masses. 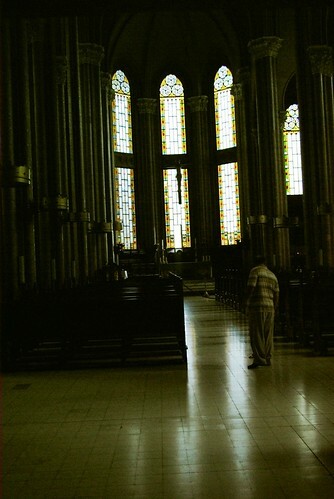 The original St. Anthony of Padua Cathedral was built in 1725 by the local Italian community of Istanbul, but was later demolished and replaced with the current building which was constructed on the same location. 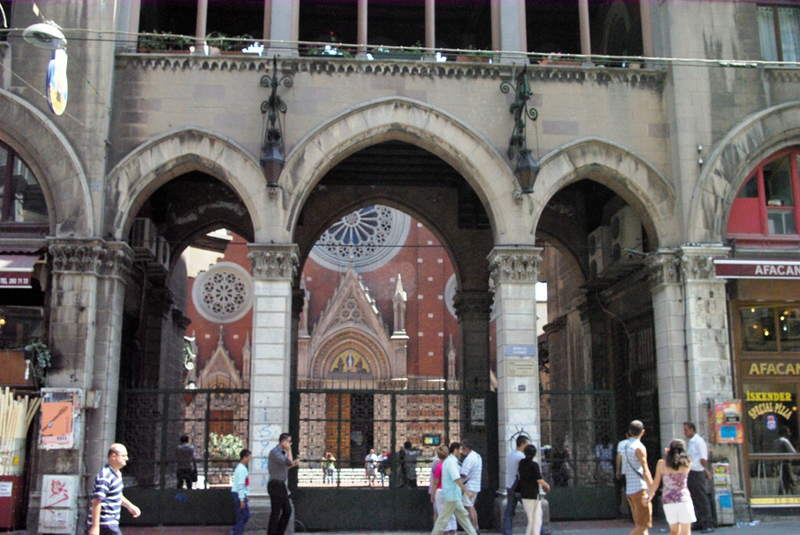 The current St. Anthony of Padua, along with its adjacent buildings (known as the St. Antoine Apartmanları) on İstiklal Avenue, was built between 1906 and 1912 in the Venetian Neo-Gothic style, and was likewise edificed by the local Italian community of the city, mostly of Genoese and Venetian descent, who amounted to 40,000 people at the turn of the 20th century. 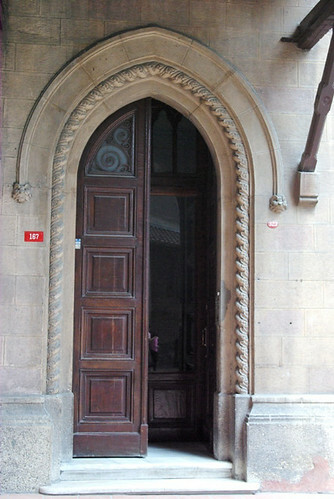 The building was designed by the Istanbulite Levantino Italian architect Giulio Mongeri, who also designed many other important buildings in Istanbul and Ankara; such as the Maçka Palas (which houses Armani Café and Gucci) in Nişantaşı and the Neo-Byzantine style Karaköy Palas bank building in Karaköy (Galata), Istanbul; as well as the first headquarters of Türkiye İş Bankası in Ankara. The cathedral is run by Italian priests. 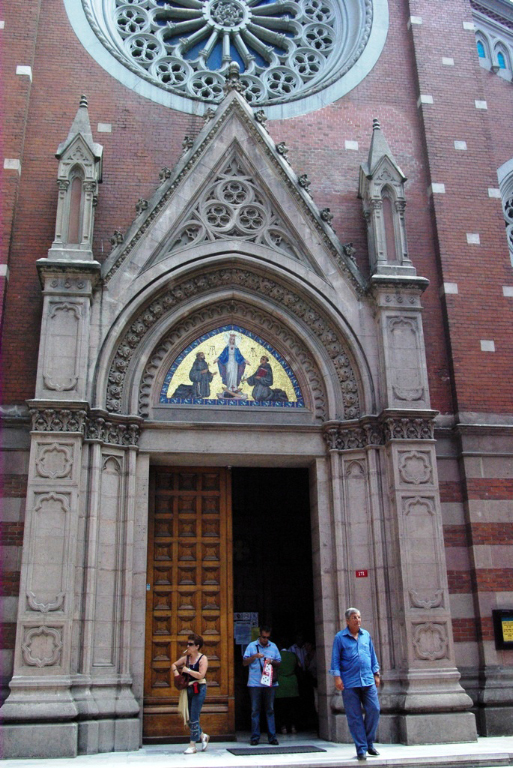 Saturday mass is in Italian and begins at 19:00, Sunday mass is in English and begins at 10:00, and Tuesday mass is in Turkish and begins at 11:00. Pope John XXIII preached in this church for 10 years, when he was the Vatican’s ambassador to Turkey before being elected as pope. He is known in Turkey with the nickname “The Turkish Pope” because of his fluent Turkish and his often expressed love for Turkey and the city of Istanbul.